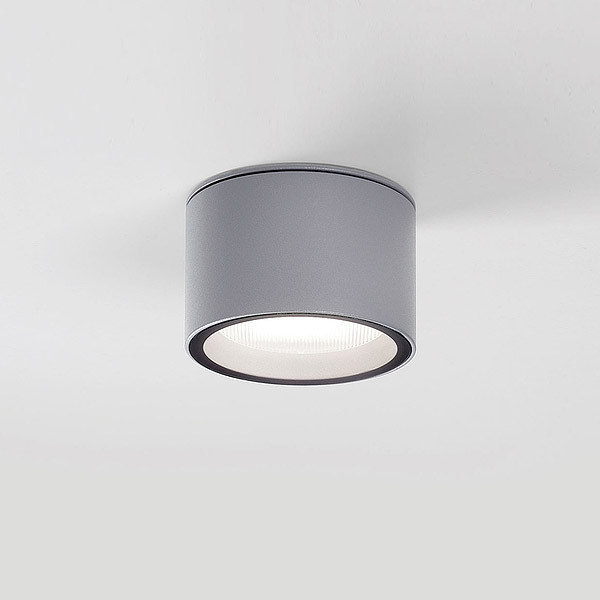 The Dox 100 is a simple ceiling light with an extra large diffuser (diameter 10cm), which guarantees a very soft and glare-free light. The body of high quality processed aluminum is circular and fits in its appearance of minimalist design - line. The Dox 100 is designed in this version for outdoor use and offers the IP55 value also sufficient protection from adverse weather conditions. For the operation of the lamp no longer transformer is required, so you can mount the light quickly and easily. We recommend to use multiple Dox ceiling lights, to achieve an exciting light composition on facades or in homes inputs. Through the consistent design - line you can see the ceiling light wonderfully with the wall lights design of Dox 100 combine.